An Appearance in Wedding Guide Asia! Its certainly been an incredible month for me! About a week back, I was featured in HELLO! Magazine, alongside my stunning models, and now, I have the good fortune to appear in Wedding Guide Asia! The good people over there conducted a short know-me session, and managed to capture the essence of my business in a short, sweet article. Scattered throughout the post are photos of some of my pieces, as well as shots of my new shop over in Publika! Here’s a snapshot of one my gowns. On another note, look what we have over at the shop! For heel aficionados, we have a new batch of footwear that made it to Publika! If the earlier pair was ebony, this would be ivory. 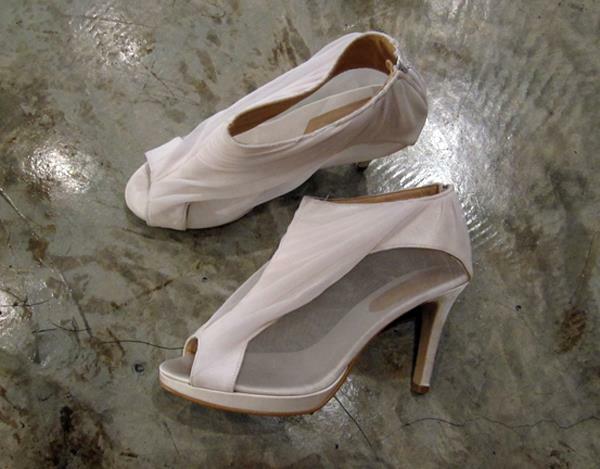 4.5″ Ivory silk satin – double platform. Not your conventional pair of heels! 4.5″ Bridal Booties. A red number! 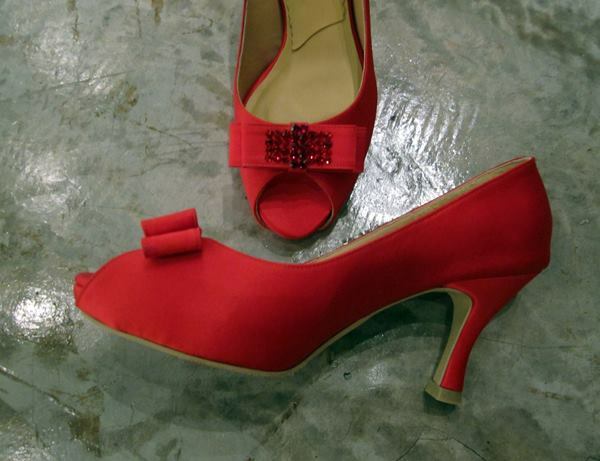 3″ Red silk satin built-in platform with Swarovski flatbacks. Has the shoe monster in you been awakened? Drop by the Facebook album to see more of these, as well as some pictures of me at work. Look out for this weekend, as there are more posts to come!